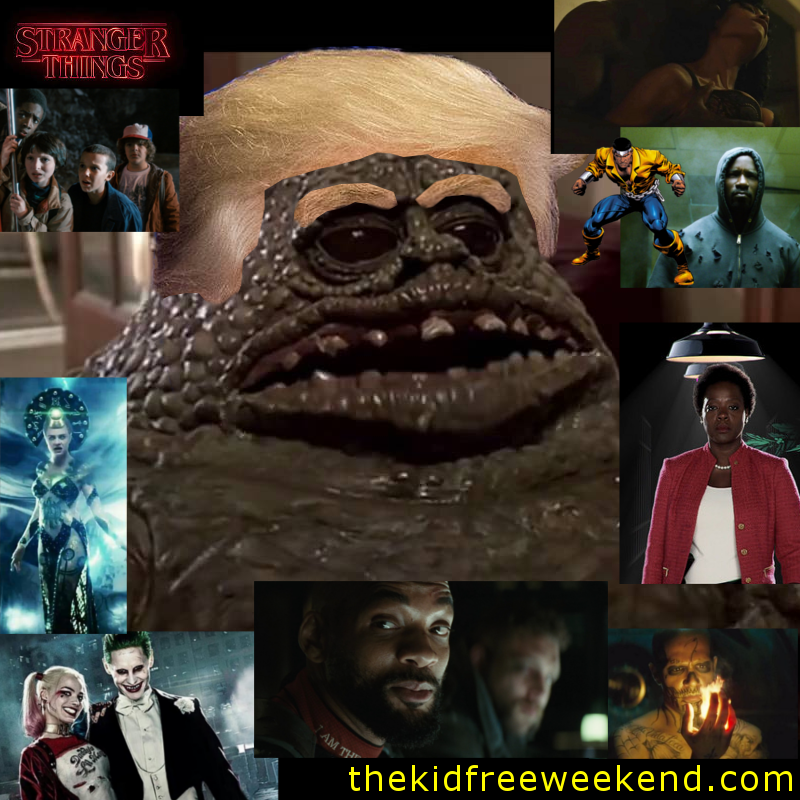 The Kid-Free Weekend: Episode 34 - Podabirthdaversary, Suicide Squad, Stranger Things, and Luke Cage! Episode 34 - Podabirthdaversary, Suicide Squad, Stranger Things, and Luke Cage! Jeff and Jennifer briefly reflect on ONE YEAR OF PODCASTING... and then - as Jeff turns 40 - it's back to the nerdy world when they talk a little bit of Stranger Things (no spoilers), a little more about Luke Cage (almost no spoilers), and a whole lot of Suicide Squad!